This Chinese themed online casino from the guys over at Pragmatic Pay is one to get excited about. With a 5 reel, 3 line format, the graphics and design are very eye-catching. As are the golden animal symbols which adorn the reels. Discover about this game before you play new slot at slotsbaby. There is only one bonus feature in this new online slot games and that’s the Free Spins. 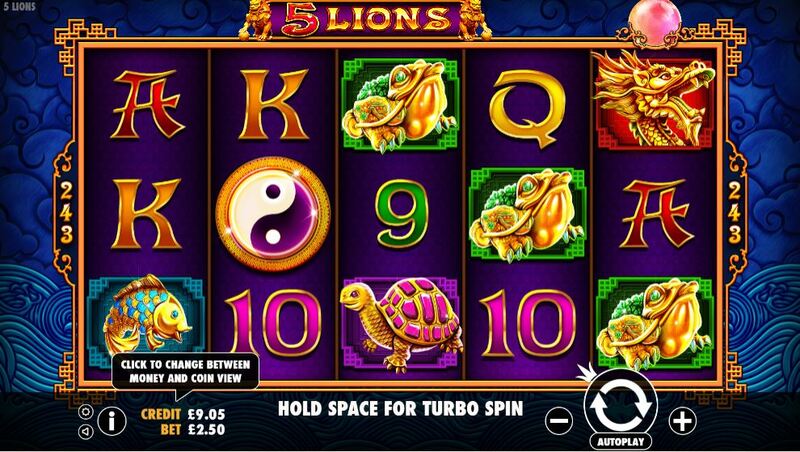 You can play for free or for as little as 50p per spin, the Wild and Scatter symbols i8n the game are defiantly worth keeping track of as they can land you with big wins. So journey into 5 Lions and get ready to spin the reels. 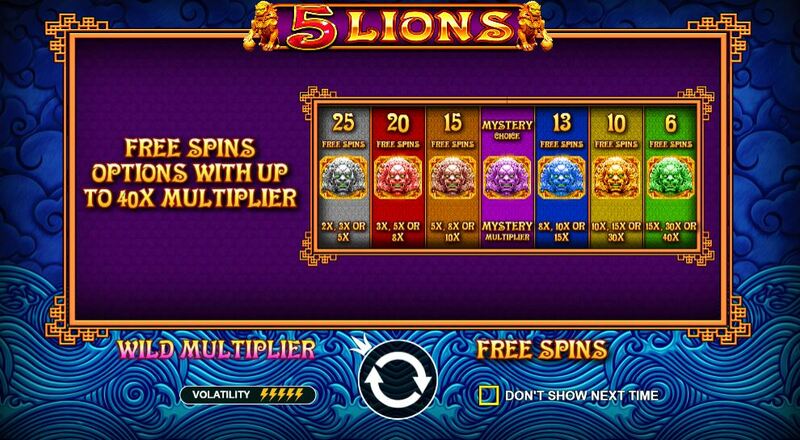 Free Spins: you will need to land 3, 4 or 5 scatter symbols on the reels in order to trigger the free spins. You could win additional free spins and multipliers, a great prize! Wild: This takes the symbol of the Golden Lion. This is only on reels 3, 4 and 5 so make sure you keep a close eye on them. Golden Dragon Symbol: this symbol is as ordinary as they come, however, if you manage to land 3 or more consecutive Dragon symbols across the reels, there is the potential to win up to x20 on your original bet.